Early 2017 was something of a disappointment for many BioWare fans. This is because the eagerly anticipated Mass Effect Andromeda was a failure of epic proportions for many: a game that promised a riveting story, great characters, quests and sci-fi action, but which failed to deliver. And the fact Mass Effect Andromeda’s suffered from one of the worst launches in video game history is something gamers have not forgiven yet. BioWare is hard at work on Anthem right now though, a game similar to Activision’s Destiny and of which BioWare revealed a bit more in a recent blog post (via GamesRadar) aimed at its fan community. 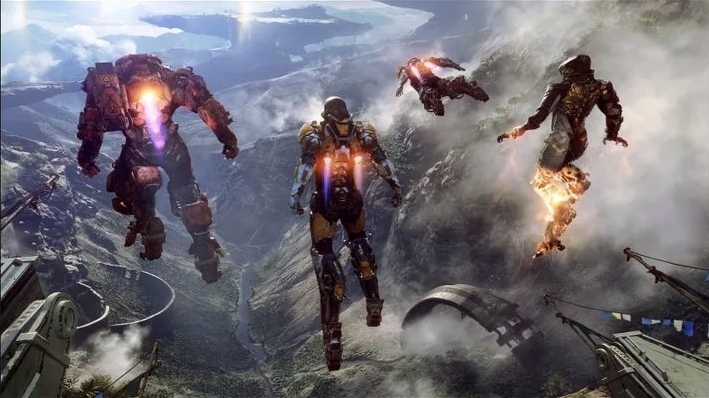 Here BioWare’s general manager Casey Hudson explained how Anthem will have “day / night, weather, and world-scale events that shape the ongoing narrative of the setting”. Also, the game will have a central hub a la Destiny, where players will “spend time developing relationships, making choices, and seeing consequences”. More interesting for many, though, is BioWare’s confirmation that the studio is at work on more Mass Effect and Dragon Age games. “we hear loud and clear the interest in BioWare doing more Dragon Age and Mass Effect, so rest assured that we have some teams hidden away working on some secret stuff that I think you’ll really like – we’re just not ready to talk about any of it for a little while”, said Hudson. The fact that another Dragon Age game is on the way is not surprising. After all, 2014’s Dragon Age: Inquisition was named Game of the Year by many video game outlets (perhaps undeservedly so), and the series still has a loyal following, so it’s likely its market prospects are pretty good. It’s surprising though, that BioWare might be working on another Mass Effect game so early, given players’ displeasure with Andromeda in 2017. And given that so much is riding on Anthem right now, with possible ominous consequences for the Canadian studio if for some reason Anthem fails to be a hit. Don’t get me wrong, I love the series and would love to play another epic sci-fi adventure in the Mass Effect universe someday. It just feels odd for BioWare to be devoting resources to another Mass Effect game when Anthem’s release is little more than 6 months away, and is a game that publisher Electronic Arts (which owns BioWare) wants to be a bottom-line success for sure. Here’s hoping then, that Anthem lives up to its promises, and that it turns out to be a well-received game after Mass Effect Andromeda failed to set the world alight last year, if only so BioWare gets a chance to return to the franchises which made it famous in the first place.